“I felt sad, embarrassed and angry,” the 11-year-old Adriana says recalling the day that she was humiliated, hurt and became emotionally disturbed after she was being punished by her class teacher simply because she had forgotten to bring the English reading book. She and a few of her friends, girls and boys, were forced to kneel down and then the male teacher called one by one and pulled their ears. “My ear was hurting and the rest of the class laughed at us. I think forgetting to bring a book just once in a while is a simple mistake. Not only children but everyone tends to forget things, right?” the little girl asks. During a therapy session held after the incident on January 2018, she had said that the teacher, who was also her class teacher, vented his frustration from them because he had a lot of work to complete the syllabus. 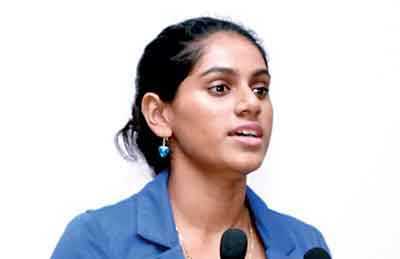 Since the complaint made to the principal of Gateway College, Negombo had fallen on deaf ears, her mother had lodged a complaint with the Police. “Suddenly my friends stopped talking to me. I was left alone in the class. I was mentally down and didn’t want to go to school for a few days,” Adriana Wickramanayaka-Cutter recalls. Adriana, who was very concerned about her studies, had lost concentration, the very neat handwriting became untidy and messy showing her inner distress after the punishment and the continuous humiliation that she faced at the school. However, unlike most of the other children who are silently suffering from lifelong emotional scars after facing corporal punishment (CP), she has become strong to face challenges at school due to the help and guidance given by her parents and elder brother, who is also outspoken against injustices at the school. With no redress, Adriana’s mother Dr. Tush Wickramanayaka sought the help of the National Child Protection Authority (NCPA). 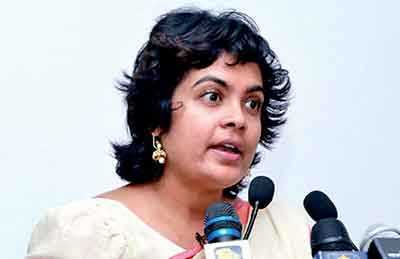 This has resulted in NCPA issuing a press release by its Chairperson Marini de Livera, stating that ‘such cruel and degrading treatment is a violation of Article 11 of the Constitution of Sri Lanka and positive discipline methods enumerated in Circular No. 2016/12 issued by the Ministry of Education should be resorted to, by all teachers in Sri Lanka where non-violent means such as advising the child and speaking to the parents among other things have been set out in this circular as a means of facilitating a sense of decorum and discipline in classrooms’. The NCPA release issued on 30 January 2018 had also stated that in 1990, Sri Lanka also became a party to the United Nations Child Rights Convention (UNCRC) where state parties have taken on legal obligations to take all appropriate legislative, administrative, social and educational measures to protect her children from all forms of physical or mental violence, injury, abuse or maltreatment. The complaint was taken up five times at the courts where the NCPA had announced that it was waiting for the AG’s advice. But since January 2018, she says it is still gathering dust at the AG’s department. 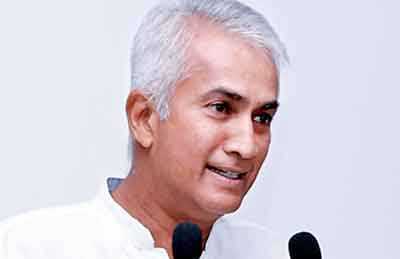 Dr. Wickramanayake says that the authorities of Gateway College Negombo, which had denied that such an incident had happened, have not adopted child protection policy or even to have an open dialogue with the parents and students on CP. “They have not given any assurance to prevent CP in school in future and several similar punishments have happened after my daughter’s incident,” she claims. After she lodged a complaint at the police, according to Dr. Wickramanayake, her daughter was discriminated as she was forced to sit alone at the back row of the class, other students were asked not to associate with her and another teacher called her a ‘buffalo’. “When she was isolated in the class she suffered a lot and was upset. The school authorities have sent a letter urging me to remove my son and the daughter from the school. And they refused to talk to me too,” she says adding that the school authorities had strongly denied that they give CP to students. 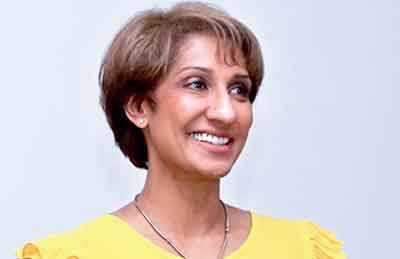 Dr. Wickranmanayake says that she had also written to the Chairman of ‘The International Schools of Sri Lanka’ Kumari Grero but received an email stating that she believes that international schools are following the law of Sri Lanka. “Her reply was very disappointing. It is very pathetic that international schools in the country do not have a child protection policy. 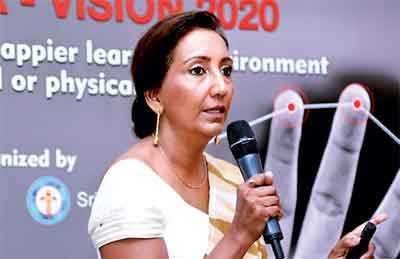 Meanwhile, the Gateway College Negombo authorities have accused that the national campaign again CP is a personal vendetta against the school,” she claims. She had written a personal appeal to the Solicitor General Dappula De Livera requesting to expedite the investigations as her daughter was facing further humiliations and being continuously harassed at school by teachers and students causing severe mental distress. “But, nothing happened to my appeal. I reported to the Human Rights Commission (HRC), which initially accepted the complaint and commenced investigations but later dropped the case. One of their staff members took my daughter’s case file home and divulged the information to the school, which resulted in severe harassment of my daughter. There is an outstanding complaint against the staff member at HRC for Serious Breach of Confidentiality,” she reveals. However, her quest to seek justice for her daughter didn’t end there. She met Minister of Education Akila Viraj Kariyawasam, Prime Minister Ranil Wickremesinghe, the Inspector General of Police and lastly President Maithripala Sirisena. “But no one seems to care enough of our children. 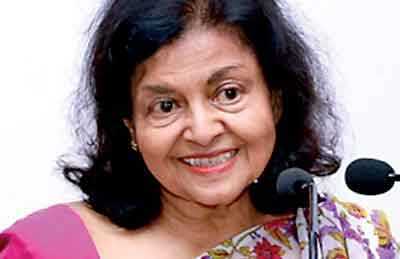 There is severe political and financial pressure to dismiss the case,” Dr. Wickramanayake claims. This humiliating punishment and repeated complaints to the authorities have turned a new leaf in Sri Lanka’s efforts to save children from various forms of abuse – mental and physical. It gave birth to the organisation named – Stop Child Cruelty – that brought all those academics, researchers, child rights activists and some parents – to a single forum to lobby against CP at schools and also at homes. Explaining the motive of forming the organisation to protect all children from abuse Dr. Wickramanayake, who is the chairperson of the organisation, says that the laws in Sri Lanka are not clear and strong enough to put a complete end to CP. “The Penal Code prohibits use of any form of harm to a child but the Education Ordinance contradictorily allows punishing children. Therefore, there is an urgent need to amend the existing laws to ban CP,” she stresses. “This is why I started the National Campaign – the whole system is corrupt. There cannot be any room for lethargy in protecting our children. The law needs to be explicit and functioning. We must protect every child,” she says adding that the ultimate intention of the campaign is to put a complete ban on CP in the country. The inaugural national campaign ‘End Corporal Punishment Sri Lanka – Vision 2020’, which focuses on ending CP in schools was launched a few months ago. The main objective of the campaign is to get the active involvement of children, parents, educators, administrators and law enforcement authorities to one forum to find progressive and practical solutions together rather than an exclusive process of punitive and abortive measures such as blacklisting teachers or imprisoning individuals. “The historic Pentagon proposals have united five stakeholders of Government – the President, the ministers of education, children’s affairs, law and order and justice to make permanent and meaningful solutions to CP, she says adding that the prime objective is to encourage and incentivise all authorities responsible for child protection to uphold national and international laws thus ensuring that no child is subjected to cruel and/or degrading punishment in schools. The campaign intends to create a situation for children to pursue educational activities in an environment devoid of corporal punishment and in a happy and safe learning environment, which promotes mental wellbeing for children to mature into wholesome caring individuals. Explaining about the national art and poetry competition held to mark the Universal Day of the Child on 20 November, she says that it gave the opportunity for the children to get involved with the campaign to end CP and also express their views on CP. “We are already conducting some programs, which are specially designed to address CP in the Central and North Central Provinces. We are also conducting pilot projects in schools for students, teachers, parents on alternative disciplinary procedures than punitive punishments,” she says. However, Dr. Wickramanayake says that although parents support the campaign, most of them, whose children were also subjected to CP at schools – government and international – are reluctant to speak out openly against CP thinking their children would be discriminated by the school authorities and the little ones would be punished more. 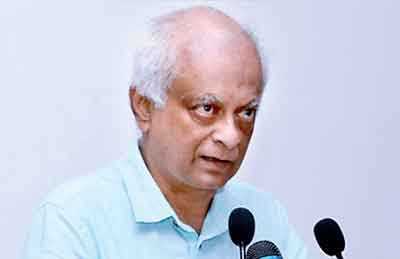 Dr. Wickramanayake says that President Sirisena has instructed the NCPA chairperson on 2 October to follow PP. “But we are not aware on what sections of the PP were referred by the President. According to Dr. Wickramanayake, there are several barricades that hinder the implementation of new laws, procedures and even attitudes against CP in the education system. She says among all reasons, old-fashioned ideas of the individuals like “I was hit when I was a child and I am doing better because they punished me” top the list. “There are many who were subjected to CP and only those who have strong minds survived and overcome the emotional scars. But the rest suffer silently with disturbing emotional scars as they do not have the courage to say no to CP. No one can glorify personal experience related to CP and justify that some people are doing better in life because they were punished because they could really do well if they didn’t experience aggression in their childhood,” she explains. She also says that it is very difficult to abolish CP since most of the people think that CP is a part of our culture to discipline a child and glorify it despite the fact that it has been inherited from the colonial rulers who made the wrongdoers kneel down and carried out canning. According to Dr. Wickramanayaka, fear of reprisal is another factor that allows the perpetrators to continue to hurt children at school and home. “Although some teachers are not for CP they keep mum against as they are afraid of discrimination. Similarly, parents too are reluctant to speak out against CP,” she says stressing the need of having a child protection policy. She says that discrepancy in the existing laws, which is another barricade to implement laws against CP need to be amended. “Under Penal Code 308 A and 82 states that if a child under 12 years is subjected to physical punishment in good faith to correct him and also under the Penal Code 341 (i) if a schoolmaster punishes a child in good faith it states that CP is not a crime,” she points out. Dr. Wickramanayake explaining the children’s vulnerability to CP in international schools, which has over a 25% children out of the total school children in the country, claims that those children in international schools do not come under the preview of the Ministry of Education. She says that those children do not have protection by the Government or the Human Rights Commission as the circulars issued by the Ministry are not applicable to international schools, therefore, our children are vulnerable to punishments at schools. “It was my daughter before but it will be someone else’s child next, so this needs to be stopped to allow the children to bloom with no humiliation and cruelty,” Dr. Wickramanayaka says. The five-point plan, which is named as the Pentagon Proposals, of the ECP 2020 has brought five key members – the President and four Ministries – Education, Children’s Affairs, Law and Order and Justice – together to protect children from CP. “I am happy to be a part of this campaign against CP. I was never punished at my home or school ever. I believe that it has contributed to being whom I am today. I always support for kindness, compassion for all – children, adults, parents, teachers and animals, as much as I see kindness and compassion. “When I was a young boy, I was slapped twice. And to date I don’t know why I was slapped because I didn’t see I was deserved to be slapped and neither did I know why I was slapped. But over the years, I have been thinking why and what did I do to make that teacher slap me. The conclusion I got was that the teacher was not trying to punish me but either the teacher had a problem in his mind and he used me to get the frustration on me or he was trying to teach something to other children and used me or that.